It's not all bad news if you dread the thought of swapping your pretty summer dresses for fall and winter's requisite bulky coats. The switch of seasons doesn't have to mean all wool and no play—you still have the holiday season to look forward to, after all. (And no, it's never too early to think ahead!) Silvia Tcherassi, the impeccable Colombian designer I profiled earlier this summer, has created a new holiday capsule collection exclusively for Moda Operandi, and the evening pieces are the definition of eye candy. The beautiful collection, available to pre-order now, is guaranteed to pop up at the chicest holiday parties in every corner of the globe. (It's only a matter of time before Tcherassi fan Jennifer Lopez lays claim to her favorite pieces.) 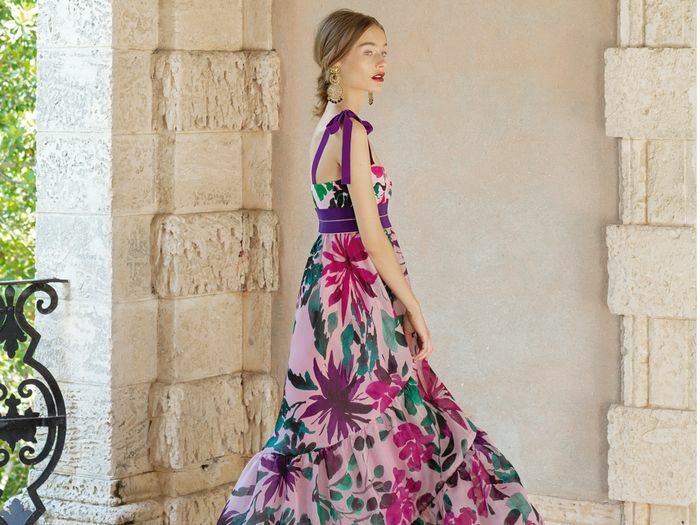 "I designed this collection for different kinds of women, from the ultra-feminine looking to add a twist to her traditional style to the more fashion-forward looking to become the epicenter of the party," Tcherassi said in a press release. Scroll down to pre-order Tcherassi's new capsule collection at Moda Operandi. Next up, see the pretty dress everyone in Cartagena is wearing.